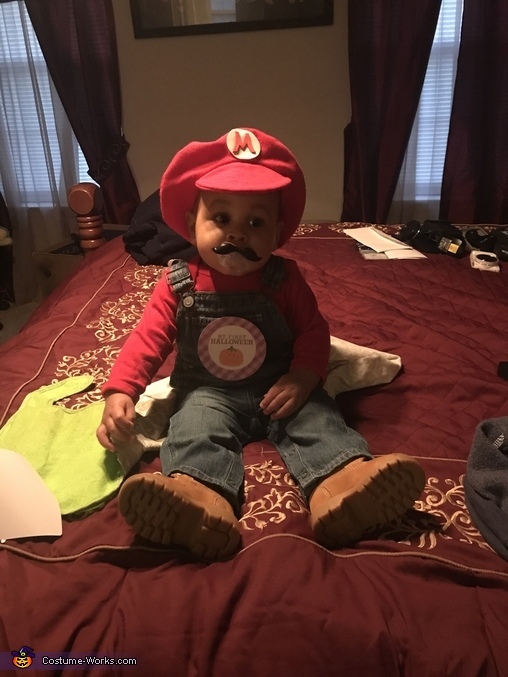 My 7month old son Bailey was dressed as Super Mario for his first Halloween. The hat was made by his grandfather, about $3 in material, the shirt was purchased online along with the mustache pacifier, together they cost roughly $10. The ideas came from my nephew who loves Super Mario.